The iTunes podcasting specifications changed this May, 2012 and includes changes to existing recommendations as well as few new element options. You must upgrade PowerPress to version 4.0 in order to utilize the new options. PowerPress 4.0 will be released on May 11, 2012.
iTunes Image Size and Format – IMPORTANT! iTunes image artwork recommendations have changed to 1400 x 1400 in jpg format. You can use a png in RGB format, but keep in mind that a png at that resolution will negatively impact the loading performance due to its file size. We believe the image size change is for the upcoming Apple TV’s that will be released this fall. Your podcast artwork will need to be at least 1400 x 1400 in order to be featured in the iTunes podcast directory. The artwork saved within your audio may continue to use 300 x 300 or 600 x 600 poster image, but 1400 x 1400 will not hurt if saved as a jpg. Video should use the same 1400 x 1400 or larger image size. Again, jpg is recommended as the file size will be much smaller than that of a comparable png. Don’t forget to update your artwork by going into PowerPress settings > iTunes tab and using the file/browse option. Letting PowerPress save the image will guarantee that iTunes will get the latest image within 24-48 hours. A new per episode option “Is Closed Captioned” has been added to the iTunes podcasting specifications. This option allows you to mark your video episodes as having Close Captioning. This option is only used if your media includes Closed Captioning. Please visit Closed Captioning on Wikipedia.org to learn more about this option. You can enable this per-episode option by going to PowerPress Settings > Basic Settings tab, in the “Podcast Entry Box” section, and place a check next to the option “iTunes Closed Captioned”. Don’t forget to save changes. A new per episode option “Order” has been added to the iTunes podcasting specifications. This option allows you to reorder your episodes how you want them to appear in the iTunes podcast directory. It will not re-order the episodes for subscribed users. Subscribed users will continue to see the latest episode at the top of the subscription. When the order option is not present, episodes will be ordered by publish date with latest published episode first. The “Order” element must be present in all episode items found in your RSS feed. Episode items that do not include the new iTunes order element will be stacked first, with the items with order specified stacked below them. From our testing it appears the order of ordered items is random when one or more items does not include the order tag. If you do use this feature, it is imperative that all episodes have a order value specified otherwise the outcome will not be guaranteed. Order items are displayed in ascending order. E.g. 1, 2, 3, 4, 5, etc… This means that you can list oldest episode first or you must know the total number of episodes you plan to release if you want your latest episode listed first. PowerPress has added a special “Feature on iTunes” option that utilizes this new feature to specifically order your episodes with one selected episode to be at the top. This allows you to put an introduction episode at the top of the list, with the remaining episodes ordered as normal. You can enable either of these options by going to PowerPress Settings > Basic Settings tab, in the ” Podcast Entry Box” section, and place a check next to either option “iTunes Order” or “Feature Episode in iTunes”. Don’t forget to save changes. A new per feed option “Complete” has been added to the iTunes podcasting specifications. This option allows you to mark your podcast as completed in the iTunes podcast directory. This option should only be used when you are no longer creating new episodes but wish to keep your podcast listed on the iTunes podcast directory. Once marked completed, iTunes will no longer query your feed for new episodes. To enable this option in PowerPress you must first add the following define to your wp-config.php. Please consult with someone experienced with WordPress to assist you if you are not familiar with how to edit your wp-config.php. Once the define is added to your wp-config, navigate to PowerPress Settings > iTunes tab, then place a check next to option ” iTunes Complete” . Don’t forget to save changes. This is the biggest change to the iTunes podcast specifications since it was first introduced in summer of 2005. 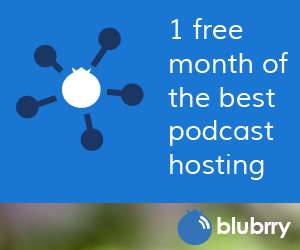 Though iTunes podcast directory is no longer the only podcast directory in town, it still garnishes the largest audience percentage for most shows, making it essential for podcasts to support these latest specifications. Update your WordPress podcast to PowerPress today to utilize these latest features immediately. Is the wp-config hack for “complete” going to be required going forward or will there be an update to PowerPress down the road that will make it unnecessary? I’d rather not edit that file if I can help it. The define is required as it unlocks non-supported features. We assume that if you have the knowledge to be able to set the define then you would also be aware of the serious ramifications of using such features. If you set the complete feature by mistake, there’s no undo, and we to minimize the possibility of such a mistake. hey thank you for that information. Thank you so much for publishing this article. I would have completely missed this change without you bringing it to my attention. My podcast updates have not been showing up in iTunes since prior to November. I have updated my artwork, my description and added 7 new episodes over the past 4 weeks. None of these show up in the iTunes store, though subscribers are getting the new episodes. iTunes Customer Service said “when trying to read your podcast we are getting an error asking us to reset the connection to the feed. Since we are getting that error I would advise to contact your feed host to find out why a connection reset error seems to be occurring.”, but my webhost can’t seem to find anything. Any suggestions? Help??? I dont see anything in your feed that could be causing you issues. The feed loads fine and validates. You may want to go back to Apple and ask them to be more specific.